“The Co-operative Bank has largely avoided the consequences of the market turmoil. Our cautious and responsible approach to business development limited our exposure to the problems that have afflicted many in the sector.” Those words by the then chief executive, David Anderson, of The Co-operative Bank still reverberate a decade on – they were written for the bank’s 2008 financial results. The Co-op’s executives and non-executives were chortling at their competitors’ misfortune, complacent about their own vulnerability. Sadly, the triple sins of over-reach, lack of internal challenge and flawed structure of accountability that did for the UK’s Co-op Bank, have hit many other ambitious co-operative banks across Europe. Raiffeisen is an Austrian-based co-operative banking group, with a history that dates back to the 19th Century. It was one of Europe’s largest banking operations, with subsidiaries across central and eastern Europe. It hit problems that had similarities to the crisis that ended the status of The Co-operative Bank as a subsidiary of the Co-operative Group. An investigation by the Swiss banking regulator FINMA of the Raiffeisen Schweiz subsidiary cast doubt on the future of its co-operative structure. “FINMA identified various control issues and problems, including significant shortfalls in the group’s overall corporate governance practices related to the management of shareholdings and related persons,” explained a report by Moody’s credit ratings agency. “Raiffeisen Schweiz failed to effectively oversee and control its own management and mitigate potential conflicts of interest arising from the management’s and the supervisory board’s involvement in day-to-day decision making. This led to breaches of several supervisory laws and best practices,” continued Moody’s. Failings included inadequate risk management around loans to individuals connected to the bank and a miscalculation of the capital held by the bank. The probe by FINMA led to former chief executive Pierin Vincenz being placed under investigation for mismanagement, accused of generating personal financial gain at the expense of the bank. He denies the allegation, but spent 15 weeks in jail being investigated. Vincenz’s replacement as chief executive and former deputy, Patrik Gisel, recently announced that he will leave the bank, to help clear the way for a new start. Raiffeisen stressed that Gisel’s “integrity is not in doubt”. Raiffeisen’s crisis led FINMA to question whether it was appropriate for banks to be structured as co-operatives. As part of FINMA’s ongoing response, it will consider “the pros and cons of converting Raiffeisen Switzerland into a limited company”. Should FINMA conclude that public companies are a better structure for banks, there would be significant repercussions across Europe – Moody’s calculates that co-operative banks have market shares of around 50% in Germany, 50% in France and almost 30% in the Netherlands. The Financial Times quotes Moody’s as saying there is no evidence that co-operative banks have weaker control and risk management practices than do joint stock companies. However, if there is a problem, co-operatives obviously have substantial difficulty in obtaining new risk capital without demutualising. For the moment at least, Raiffeisen Schweiz and the Raiffeisen Group remain co-operative institutions. The same is not true for the Cyprus Co-operative Bank, which failed because nearly 60% of its loan book was non-performing, and which was accused of poor corporate governance. It was split into two, with the good assets sold to the Hellenic Bank and non-performing assets converted into a special purpose vehicle with the objective of maximising debt recovery. An official investigation will consider the causes of the Cypriot bank’s failures. Factors may include, say observers, poor lending practices, staffing weaknesses, lack of internal challenge and inadequate regulatory oversight. But another factor has been poor ethical behaviour, with the bank improperly overcharging on loans by applying the wrong interest rate. This not only led to a fine, but also undermined the capacity of borrowers to repay their loans. Across these failures, some themes recur. Each of the three co-operative banks – Cyprus, Raiffeisen and the UK’s Co-op Bank – were damaged by poor corporate governance, which led to poor quality decision-making. Accountability mechanisms were defective. In the case of Raiffeisen and Cyprus, this allowed borrowers who were close to the banks to be better treated in terms of loans and loan terms. This was also true of the Irish Nationwide Building Society, which was structured as a mutual, but treated by its senior management and board almost as if it were a private company. In all four of these cases, there were substantial regulatory failings. With the Irish Nationwide Building Society, even a cursory examination of its internal practices would have found catastrophically weak corporate governance and serious breaches of its own procedures. 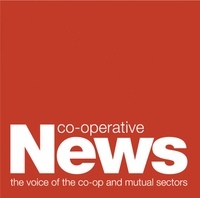 In the case of The Co-operative Bank, regulators regarded its merger with the Britannia Building Society – the most significant factor in the failure of the bank – as having been a rescue of the society. Yet the Co-op Bank’s directors were not told of this judgement and the regulators approved the chief executive of the rescued institution to become chief executive of the enlarged Co-op Bank. Yet it would be wrong to conclude that these failings are specifically attributable to the co-operative structures. RBS failed because of the combination of over-reach, weak corporate governance, lack of accountability and poor regulatory oversight – an identical set of factors to that behind the Co-op Bank’s failure. The same is true for the Anglo-Irish Bank, whose failure was very similar to that of the Irish Nationwide Building Society. And the demise of the Halifax Building Society was related to its demutualisation and subsequent over-reach. But nor would it be true that the failings are simply the result of financial institutions getting too big. The Kent Reliance Building Society was small and had a reputation for innovation and excellence. It suffered a crisis related to getting too big, too quickly, without a sufficiently large capital base. Meanwhile, a number of credit unions in Ireland have failed, some because their loans were secured on properties that declined substantially in value. Others are in crisis because of serious failings in corporate governance, which in some instances enabled fraud. Despite this variation in the character of these institutions, it is nevertheless possible to find common lessons. Weak structures of accountability are connected to the corporate governance failings. In some instances, this was also the result of behaviour by excessively strong chief executives dominating boards containing individuals who can be short of self-confidence, knowledge and specialist training. A lack of judgement and proportionality is another common failing – seeking scale of operation at all cost and at substantial risk. In this, boards and executives failed to differentiate between genuine organic growth and ever increasing financial numbers that in reality just reflected an unsustainable bubble. Another common weakness – which can certainly be associated with becoming a big organisation – is losing sight of ethical values. That both the UK and Cypriot co-op banks were fined for mis-selling (PPI in the case of the UK and excessive interest rates in Cyprus) says a lot for what went wrong in those institutions. In short, size is not what brings down large co-operative banks – it is failing to act like co-operatives.